Carmel Kitchens and Baths Etc. 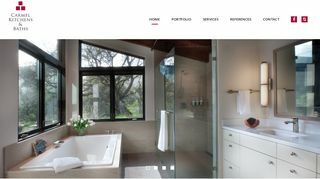 – Kitchen and bath design firm located in Carmel California serving the surrounding area. Includes portfolio, firm profile, products, cabinetry, services and contact information.